Bhutan shrouded behind the mystical aura and legends is the last Himalayan Kingdom. There are lot of places to visit in Bhutan. 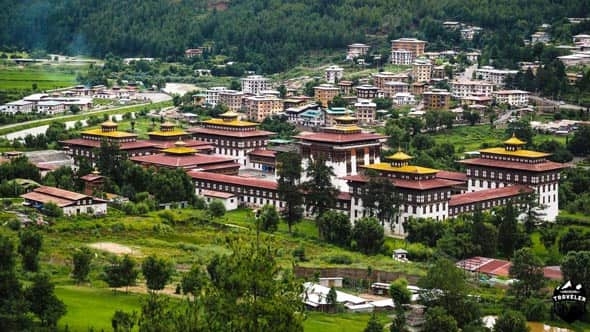 In Bhutan Holiday's 6Nights and 7Days Incredible Bhutan Tour Package get the zest of indigenous culture of Bhutan during your Bhutan Holidays. Experience the business town of Phuentsholing first. 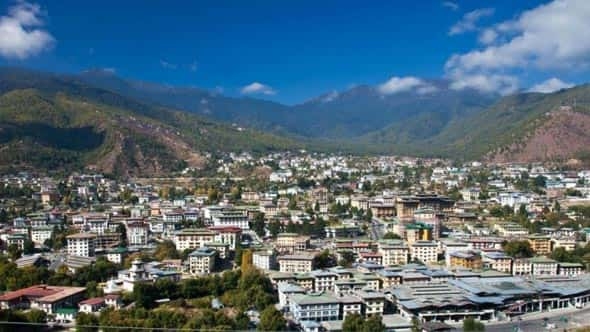 Then you will experience extraordinary journey of exploring the capital city of Thimpu, former capital Punakha, Punakha dzong and ancient town of Paro. 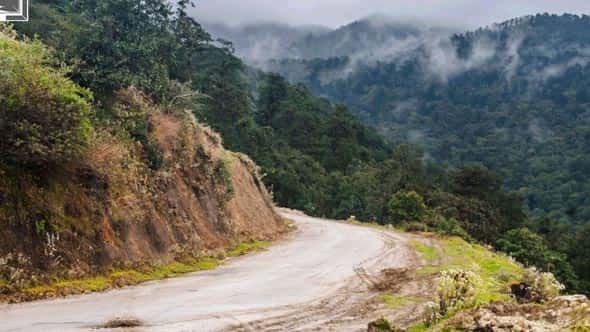 During your journey you will witness mesmerising scenic beauty from Dochula pass. Get the flavour of indigenous culture and cuisine of Bhutan during your Bhutan Holidays. 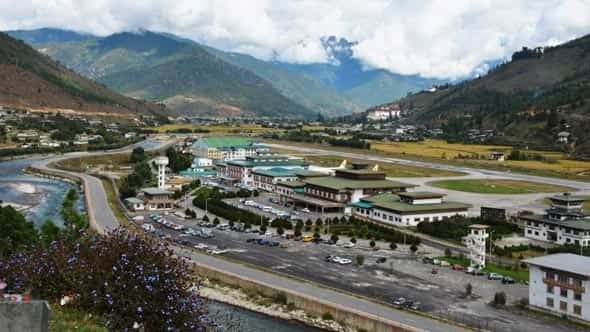 We will take you to Thimphu, the capital city of Bhutan. Here we will visit the grandiose Trashichhoe Dzong, National Textile Museum, Memorial Chorten and witness the tallest statue of Sakyamuni Buddha above Kuensal Phodrang Nature Park. Later you will be transferred to Punakha en route Dochula pass. The most beautiful place in Bhutan is Punakha. 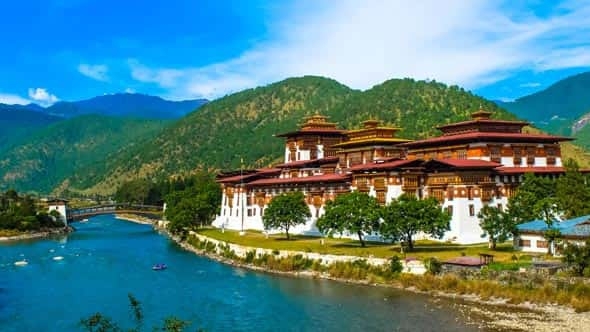 In Punakha you will visit Punakha Dzong and Druk Wangyal Lhakhang. The regal town of Paro is best known for the Cliffside Monastery Taktsang also known as the Tiger's Nest. 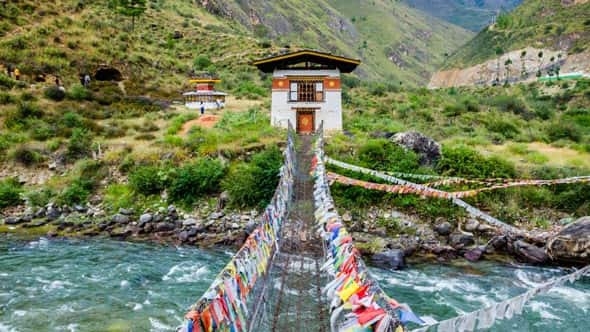 All these destinations and activities in our 6 Nights 7 Days Bhutan Holiday's Tour Package are carefully selected by the experts to let you get the best of Bhutan in 7 Days. On arrival at Hasimara you will be welcome by our representatives and then transferred to your hotel in Phuentsholing/Jaigaon. 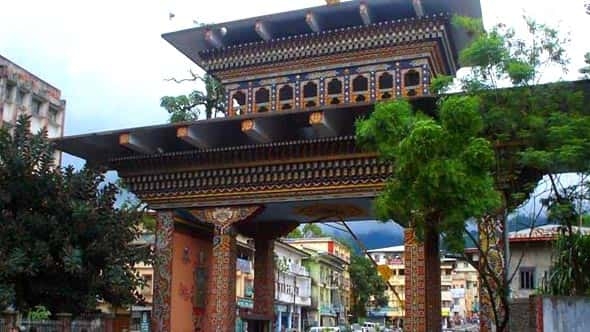 Phuentsholing is a business town of southern Bhutan border and Jaigaon is a border town of West Bengal, India situated just beside Phuentsholing. From Hasimara it will take 1hr to reach Phuentsholing/Jaigaon. Marking the province of Bhutan Region, the prominent appeals of Phuentsholing is the crocodile breeding centre of Amo Chhu and Bhutan Gate. Check into your hotel and freshen up. After making the Inner Line Permit you may take rest in the evening. Overnight Stay in Phuentsholing. Bhutan Tour Package Special Tips - About Taktsang Monastery: Taktsang Palpung Monastery is also famously known as the Tiger’s nest. This is a prominent sacred Buddhist site of Bhutan. 'Taktsang' is spelled in Tibetan as 'Stag Tshang' that means a "Tiger's Nest" or a "Tiger's Lair" . According to a legend former wife of an emperor, known as Yeshe Tsogyal, willingly became a disciple of Guru Rinpoche (Padmasambahva) in Tibet. She transformed herself into a tigress to carry the Guru on her back from Tibet Taktsang in Bhutan. In one of the caves here, the Guru then performed meditation. As per this legend the place came to be known as the "Tiger's Nest". After an early morning breakfast, let us bid goodbye to Paro and proceed to Hasimara. It is an overall 6 hrs journey from Paro to Hasimara. Relish the beauty of the journey while bidding farewell to the mystical land of Bhutan. After covering the distance of 179 km you will reach Hasimara Railway Station and your 6 Nights and 7 Days Bhutan Holiday's Tour Package will come to an end. Pick up and Drop Ex- Hasimara/NJP/Bagdogra.